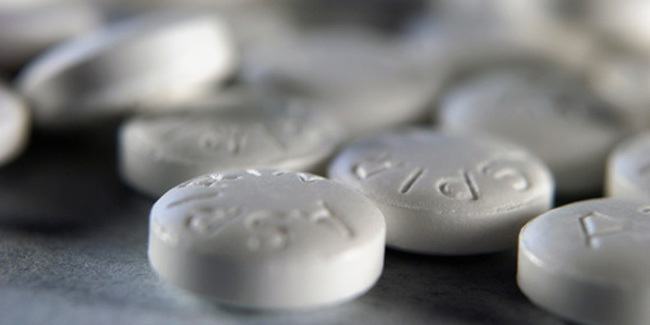 Aspirin can prevent heart attack by affecting blood clotting action. Aspirin therapy can cause side-effects like gastrointestinal bleeding. If a risk of heart attack prevails, the therapy must be stopped. Many of us believe that an aspirin therapy may give protection to the heart from strokes and attacks. But, in contrast to this belief is the fact that aspirin therapy may not be for everyone. An aspirin must only be taken everyday when a health care provider advises. This is because if an individual has suffered a severe allergy or had a history of bleeding, the doctor is most likely to recommend a controlled usage of the drug. Also, if you are at a risk of having your first heart attack, all factors will be measured by the doctor before recommending aspirin. Considering all these reasons it is always advisable to not to start aspirin therapy on your own. Aspirin has an effect on the blood’s clotting action. During bleeding, the clotting cells found in the blood, called platelets, start building up near the wound. It is these platelets which in form of a plug seal up the opening in the blood vessel to prevent bleeding. However, clotting can also occur within the vessels that supply the heart with blood and if narrowing of the blood vessels occurs due to atherosclerosis, the fatty deposit in the vessel lining can burst. In this case, a blood clot can be formed quickly which can block the artery. This results in a blocked flow of blood to the heart causing a heart attack. Aspirin therapy can be used here to reduce the clumping process of platelets, which may prevent the heart attack. You have not had a heart attack but, there is a stent placed inside a coronary artery or you have had a coronary bypass surgery or you complain of chest pain caused by coronary artery disease. Blood vessel burst leading to stroke: The daily aspirin therapy can prevent clot-related stroke stokes but, at the same time it can also put you at a risk of bleeding stroke. Gastrointestinal bleeding: A daily aspirin therapy can increase the risk of developing a stomach ulcer. Also, if you suffer from bleeding ulcer or bleeding taking place anywhere else in the gastrointestinal tract, having aspirin can lead to more bleeding which can be fatal. Allergic reaction: If an individual has any kind of allergies, consuming aspirin in any quantity can lead to serious allergic reaction. Ringing in the ears and hearing loss: An overdose of aspirin can lead to tinnitus and hearing loss in some cases.Before beginning with any therapy, it is important to weigh its pros and cons. In order to ensure safety and healthy living, you must consult a health care provider before starting with the aspirin therapy. Read more on Heart Attack Prevention.